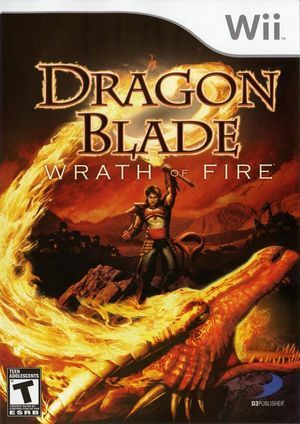 Dragon Blade: Wrath of Fire is a game for the Wii from publisher D3 Publisher, which was released on September 25, 2007. Dragon Blade follows a young adventurer named Dal who seeks six legendary pieces of the "Dragon Blade," each infused with the soul of different guardian dragons. In an attempt to build the ultimate weapon and vanquish evil, the young protagonist embarks on a quest to find and seal away each of the six dragons, taking their souls and abilities in the process. The graph below charts the compatibility with Dragon Blade: Wrath of Fire since Dolphin's 2.0 release, listing revisions only where a compatibility change occurred.